Your approach to buying your used electric wheelchair should be the same as buying a new model: price is important, but your search should focus on finding a chair that meets your individual needs. For example, some power chairs are superb outdoor performers, but are difficult to easily maneuver in indoor spaces. And there electric wheelchairs that can readily navigate your home's narrow hallways, but are unsuitable for heavy outdoor use. There are models that can be easily disassembled to fit into the trunk of a large car, but generally have restricted weight limits. So, whether you choose to buy at a used power chair from a mobility store, online retailer or private-party seller, you first need to identify the type of used electric chair that best suits your needs. 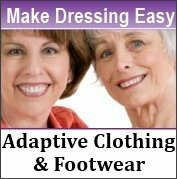 Will I be using my electric wheelchair primarily outside, inside, or both? Some chairs are geared toward indoor use, some toward outdoor use, and others are appropriate for both indoor and outdoor use. If I will be using my chair outside, will I be climbing hills and curbs? 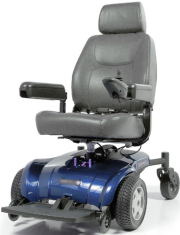 Certain power wheelchairs are appropriate for what we call outdoor "light duty", but do not have the ground clearance, power, or wheel size needed for small hills or curbs. What is the narrowest width that my chair must pass through? If you plan to use your electric wheelchair in your home, it must fit through your narrowest doors and spaces. Some chairs excel at this task, but not at others (such as outdoor use). Will I be transporting my chair? If you plan to take your power chair with you to the mall or on vacation, you must make sure that it is transportable. Most wheelchairs will fit in a van (for transport separately from the rider), but only a few can be taken apart and stored in a trunk. Brian Raub, co-founder of Used-Wheelchairs-USA.com, recommends that potential buyers evaluate a seller and the specific chairs available by considering the following. What power wheelchair brands does the seller carry. Are the brands well-recognized and reputable? Is there a price and service guarantee that comes with every purchase? For the used electric chair you are considering, how old and what condition is it in?Is the refurbishing done in-house or is it contracted out? 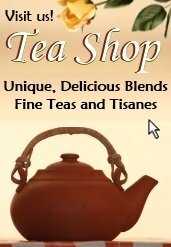 It is advantageous to find a retailer that does all work on premise and stands by its products with performance and satisfaction guarantees. Are two new batteries provided with your used electric wheelchair and do you have an option of choosing the type of batteries you want? How will the used electric wheelchair be shipped and what are the associated costs of shipping and insurance? If there is shipping damage, will the seller handle the details for you? When considering a private-party purchase, be advised that most used wheelchairs are sold in "as-is" condition. There may be cosmetic damage to the shell, upholstery, or frame. In addition, you do not know the mechanical and electronic state of the used electric wheelchair. With no warranty, you will be liable for all replacement parts and repairs, which can represent a significant financial outlay over an above your purchase price. Therefore, if possible, have an expert check over the chair before you make your purchase. In addition, ask for referrals from healthcare providers, therapists and friends. Ask the seller for references from those who have made purchases. 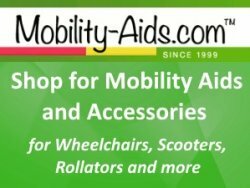 If you are interested in contacting Brian Raub of Used-Wheelchairs-USA.com who was referenced in this article, you may email him by clicking here.